Hello folks, my name is Safar Naama. No really, that’s my given name. Since I’ve been taught to live up to my name, I started travelling far and wide as soon as I could. 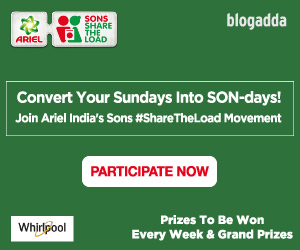 BlogAdda recently got me on board for their exhilarating episodes for our next series- ‘Found in Transit’. While travel stories to exotic places find a place in BlogAdda’s Picks, I prefer to revel in travel. After all, didn’t someone say, “The journey is as important as the destination”? My focus is on people who for one or the other reason have a daily quota of travel added into their day’s itinerary! Now for most people, travelling is synonymous to seeing exotic destinations, clicking selfies where the actual scenery is hidden behind your head, and putting up travel pictures on Instagram. Not for me! I would rather roam around similar landscapes, with a fresh dose of human faces painting my blank canvas of travels. Family is a cocoon that keeps you safe and warm during the worst storms. When life hits a rough patch, family is eventually what we turn to. And how much more rougher can it get than depression and anxiety? Depression is not a choice of lifestyle. It is an illness and like any other illness, it is bound to affect the family and close circle of the one suffering from it as well. 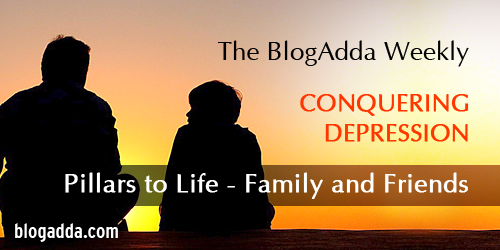 Dealing with gloom, suicidal thoughts and the sheer inability of the victim to function can put immense pressure on the dynamics of the whole family. And this is exactly the time when the people close to the victim should form a protective ring around them till the storm passes. “If neurotic is wanting two mutually exclusive things at one and the same time,” Sylvia Plath wrote in The Bell Jar, “then I’m neurotic as hell.” Through these words, we might get an insight into the world of the depressed. Many depressed people find themselves oscillating amid either/or rather than finding contentment in the blessings of life. 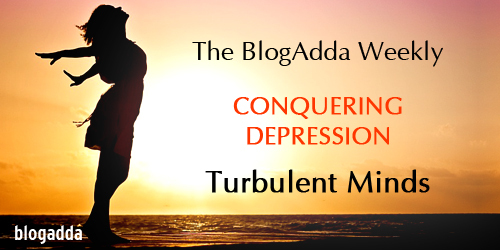 Taking the ‘Conquering Depression’ series of The BlogAdda Weekly forward from our previous episode Turbulent Minds, this time we focus our gaze on those who suffered and yet did not lose in the one-(wo)man battle against depression. 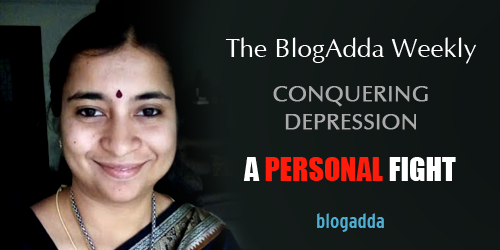 So for those of us who are looking out for their knight in shining armour to save them from darkness, here are some inspiring survival stories of known achievers with depression, which we hope will become beacons of light and hope for those in need. We breathe in a generation of fast track lives, where getting through a day itself is a constant race against time. Always short of precious seconds, most of us are addicted to popcorn content like listicles and short videos that we can just sift through and consume, stuff that provides us entertainment and information without too much investment of either time or grey cells from our end. Nevertheless, there are certain motifs on life’s canvas that cannot be confined to bullet points or GIFs. In order to do justice to them, you need to dig deep and come up with detailed thoughts and patterns. 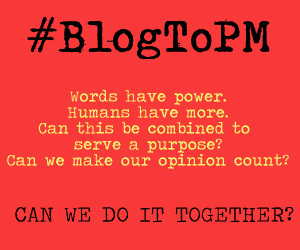 Keeping that in mind, BlogAdda presents The BlogAdda Weekly, a series of discussions on a topic that touches us or somebody around one way or the other. Through weekly rounds of dialogue, deliberation and expert opinions, we would be voicing out the hidden facts and stats, in a hope to bring in waves of change. 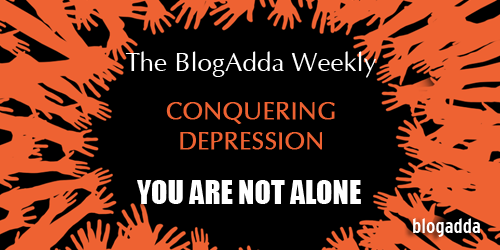 We start with an issue that changes the course of many lives, but still stays hidden in the darkness of homes and minds, buried inside the shrouds of cliches and stereotypes – Depression.